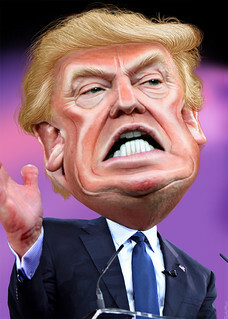 NEW YORK – An anonymous source close to the Trump organization has told Barking in the Dark that Donald Trump is “seething with anger” at the news out of Orlando Florida that a mass shooting of unprecedented violence has taken his name and face off of the front pages of newspapers and TV news networks. Reportedly, when an aide suggested to Trump that this might be a good time to demand a ban on assault rifles Trump replied; “Really? And what do suppose my sons Don Jr. and Eric would use to kill some more of those dumb elephants? Tony…may I have your permission to share this on my facebook page?